PAUL BILODEAU/Staff photo. 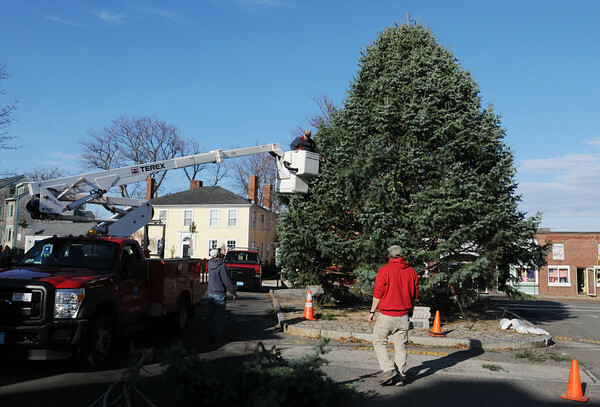 Rockport DPW workers fill in the town's Christmas Tree in Dock Square. The workers were the scheduled to put the light on the 30' foot high tree.